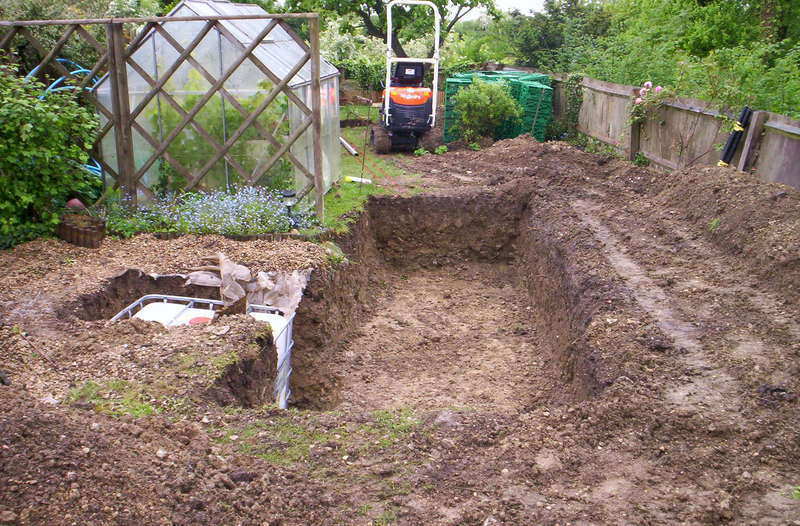 Digging out of an excavation to the size you require for a soakaway, leaving you to complete the rest of the installation. 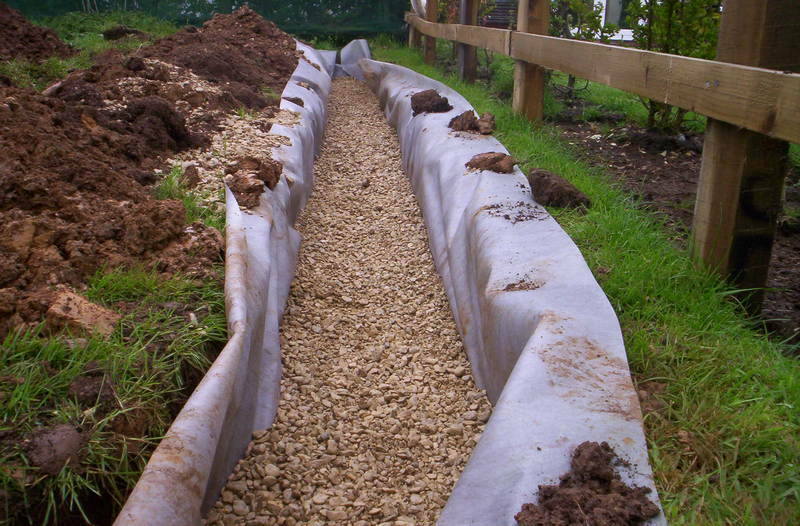 Installation of the soakaway which could be comprised of a suitable granular fill material or the more modern hollow crates. 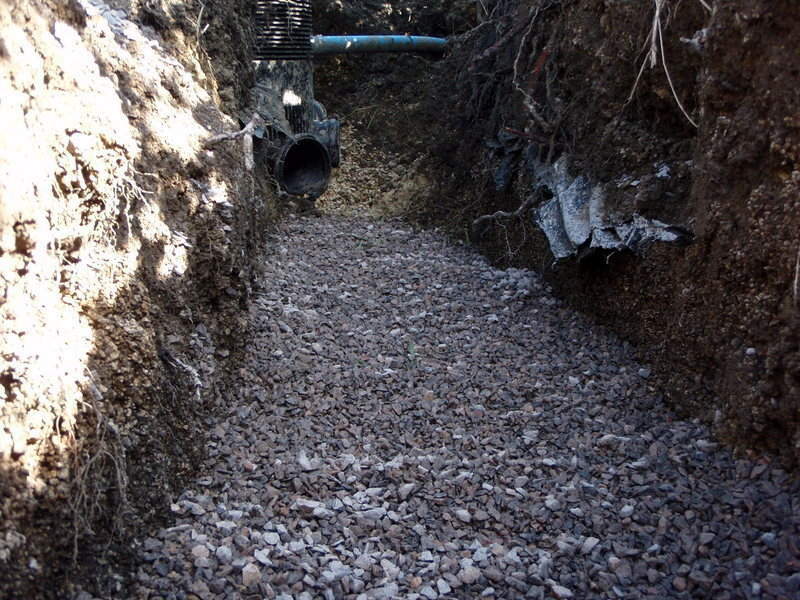 Excavation of any necessary trenches for pipes to the soakaway. 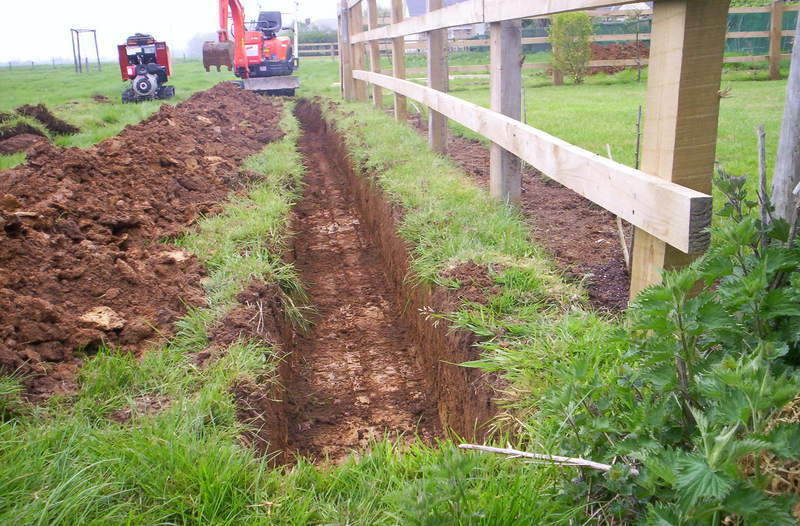 Installation of any pipework and backfilling of the trenches. 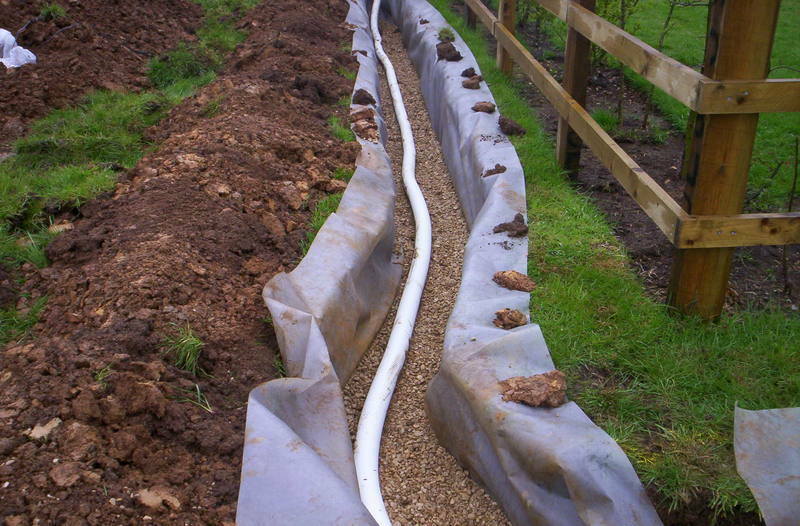 Land drains can be an effective way of draining large areas of ground, they can also be used in reverse to evenly dipserse water into the ground from sources such as septic tanks. 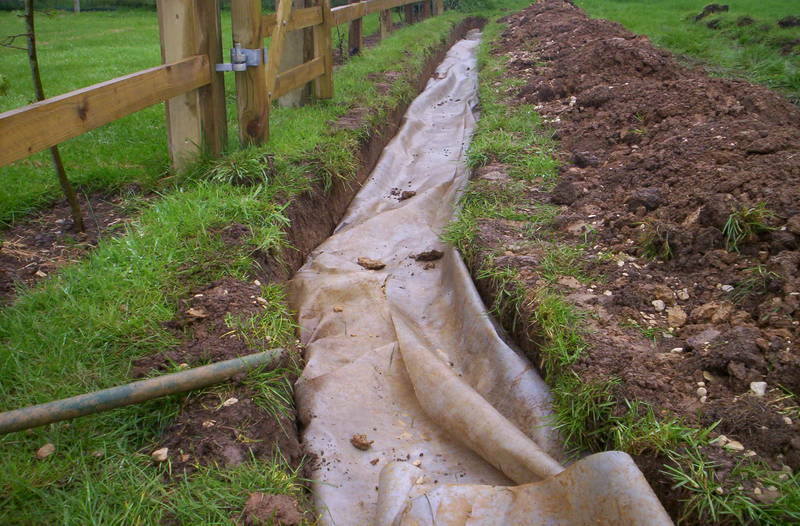 The trench then can be lined with a geo-membrane to prevent root ingress into the pipework thus preventing clogging of the pipework. 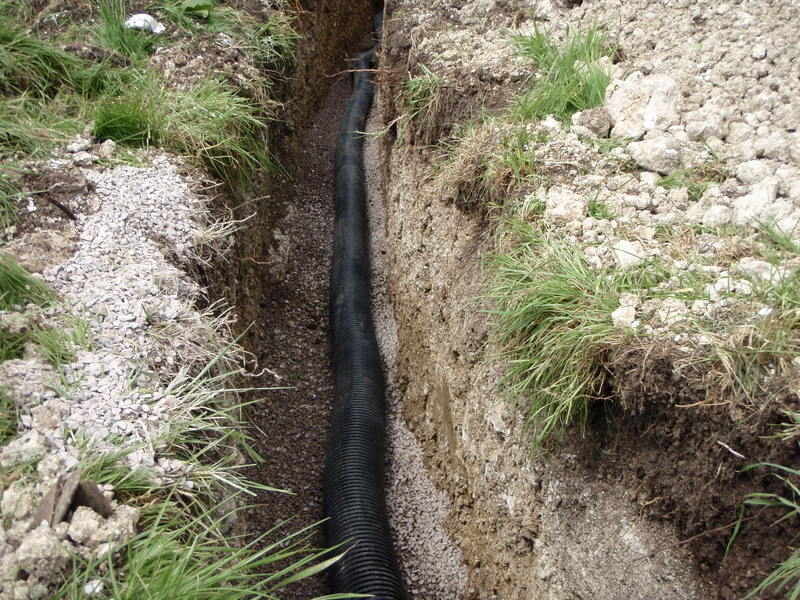 Rigid or flexible pipes surrounded and covered with a suitable drainage stone. Reinstatement of the remainder of the trench upto the existing ground level. 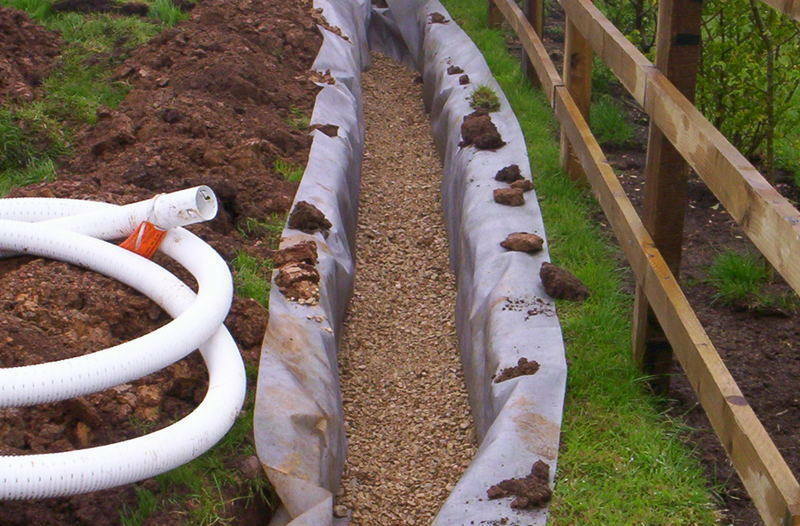 Rain water harvesting often requires a large storage tank to be placed underground to allow for the storage of rainwater e.t.c, similar to above we can excavate the ground for the main tank and any trenches that may be required to connect the system up. 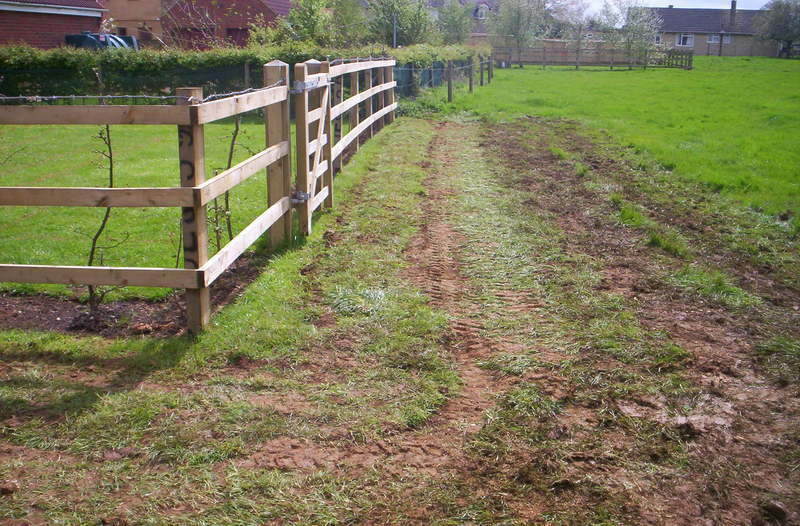 Earthmoving services can complete parts of or a full installation of a land drain or soakaway for your property whichever suits you best, if you would like to discuss this in more detail, please get in touch. "Excellent service. Very professional from first visit to completion of work. Listened to my requirements , followed them exactly and was very flexible when needed. I will definately use Steven again."